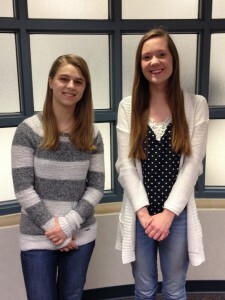 Perry Meridian High School is very proud to announce and congratulate Valedictorian, April Gettelfinger (on right), and Salutatorian, Michelle Frustereo. Outstanding job ladies!!! !